In Thailand, bananas are everywhere and synonymous with the tropical region they thrive in. If you’re yearning to introduce a more tropical look to your landscape, try growing Thai bananas. What are Thai bananas? Read on to find out how to grow Thai banana trees and Thai banana care. Thai banana fruit comes from Musa black banana plants. These hardy banana trees grow to about 20 feet (6 meters) in height. The plant starts out green but after a few months, the trunk and petioles turn a dark brown to black in color. They can be grown in USDA zones 7-11 and make a great house or patio plant grown in containers. This variety is not only cold hardy, but disease and wind resistant too. Banana development is nothing short of amazing. This tropical herbaceous plant grows from an underground corm and consists of a pseudostem (trunk) made up of layers of leaf sheaths. The banana flowers appear in groups called “hands” along the stem of the plant. They are covered by purplish bracts that roll back and drop off as the fruit stem develops. The first hands to appear are female flowers that develop into Thai banana fruit, small and similar to plantains but sweeter. Plant Thai banana plants in well-draining, moist, richly organic soil. Grow Thai bananas in 12 hours or more of bright light. 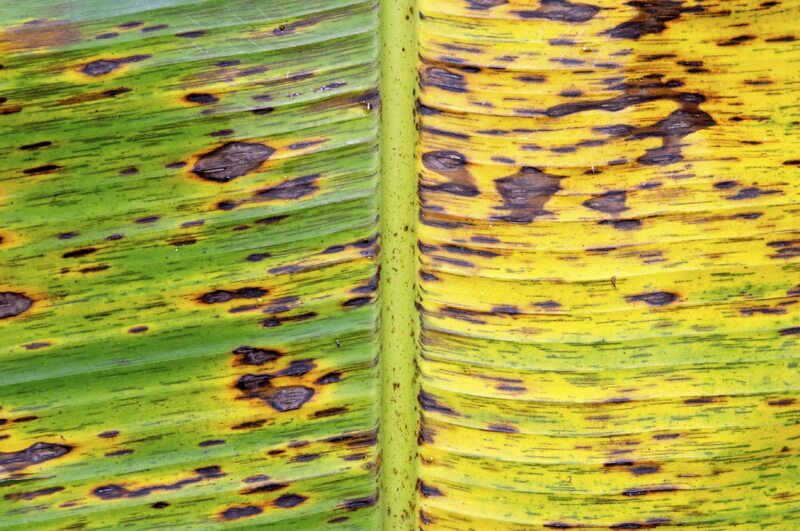 That said, new plants may be susceptible to leaf burn, so gradually acclimate the plant to more and more sunlight over the course of a week or two prior to planting to avoid stress to the banana. Night temperatures should be around 67 F. (19 C.) and during the day temps should be in the 80’s (27-29 C.). In cooler climates, bring the plants inside during the winter. Remove the leaves and store just the rhizome un-watered in a heated area to overwinter. Or dig small suckers from the parent plant and pot them for overwintering indoors. Thai bananas can be grown in USDA zone 9-11. If growing Thai bananas in a stand outdoors, space the plants about 4 inches (10 cm.) apart. Within a few weeks the large leaves will make you feel like you were in the tropics and provide welcome shade during the warmer months. If you wish to grow your banana in a container, remember that the looser the roots, the taller and healthier the plant. Start with a container that is at least a foot deep (30 cm.) and 18-24 inches (46-61 cm.) across. Plants grown on a patio do best in zones 4b-11 and thrive through the summer but then must be brought indoors prior to frost and overwintered. Bananas are heavy feeders and should be fed a high nitrogen organic fertilizer. Fertilize sparingly at least 6 inches away (15 cm.) from the base of the plant, three times per year with a slow release 15-5-10 fertilizer. Don’t over water a banana plant. Root rot from cold, wet soil will easily kill off your plant. Once the plant has fruited, cut the parent plant off at or near ground level. Once it has produced, it will no longer flower or fruit and the psuedostem will rot into the soil or can be removed, cut up and added to the compost pile.